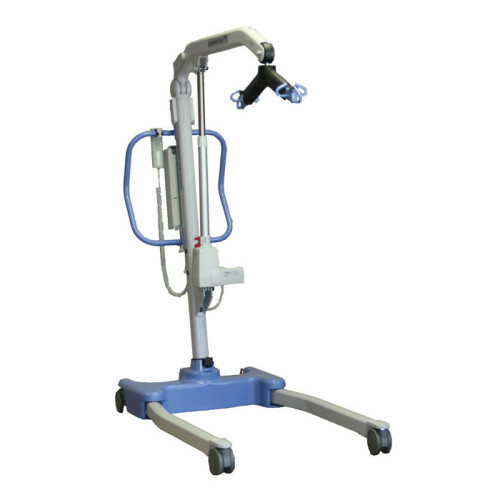 The Presence is engineered and designed to handle almost any resident-handling task. With its outstanding lift range, the Presence can accommodate lifts from the floor, as well as transfers to higher surfaces. The 500 lb. safe working load and greater spatial area make this lift a perfect fit for larger residents. The Hoyer Presence patient lift is engineered and designed to handle almost any resident-handling task. 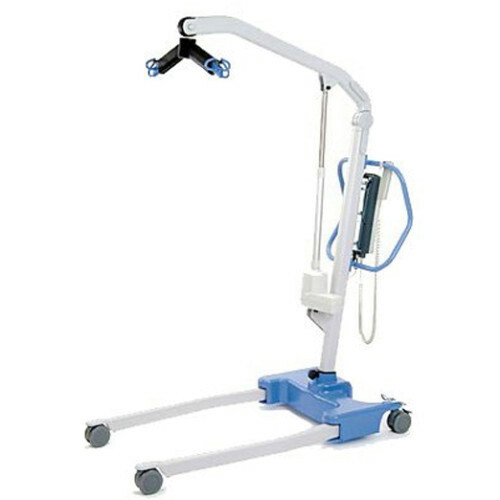 With its outstanding lift range, the Presence can accommodate lifts from the floor, as well as transfers to higher surfaces.The hand control clip holds the pendant in place when it is not being used, preventing it from falling and possible damage The base, for example, has an ergonomic footpad design allowing the caregivers to better control lift movement. The base is also controlled by two electric actuators which allow the caregiver to open and close the base with bending or twisting. Maximum Overall Length: 57.5 in. Minimum Overall Length: 55.1 in. Maximum Overall Height 81.3 in. Minimum Overall Height: 57.5 in. Spreader Bar Maximum Height 75.2 in. Spreader Bar Minimum Height 16.9 in. Height at Maximum Reach: 51.5"
Reach at Maximum Height: 25.6"
Legs Open - External Width: 4.1 in. Legs Open - Internal Width: 40.1 in. Legs Closed - External Width 26.4 in. Legs Closed - Internal Width 22.8 in. Overall Height of Legs: 4.7"